The Bosch Premium Thin Rim Turbo Diamond Blade make fast cuts in porcelain. Bosch's Soft Bond Formulation was designed specifically for porcelain, and it helps provide clean and chip-free cuts. The thin rim turbo design is optimized for notch cuts and detail cuts that prefer to make with a handheld power tool, and the specially designed center core on these premium blades can help reduce vibration. 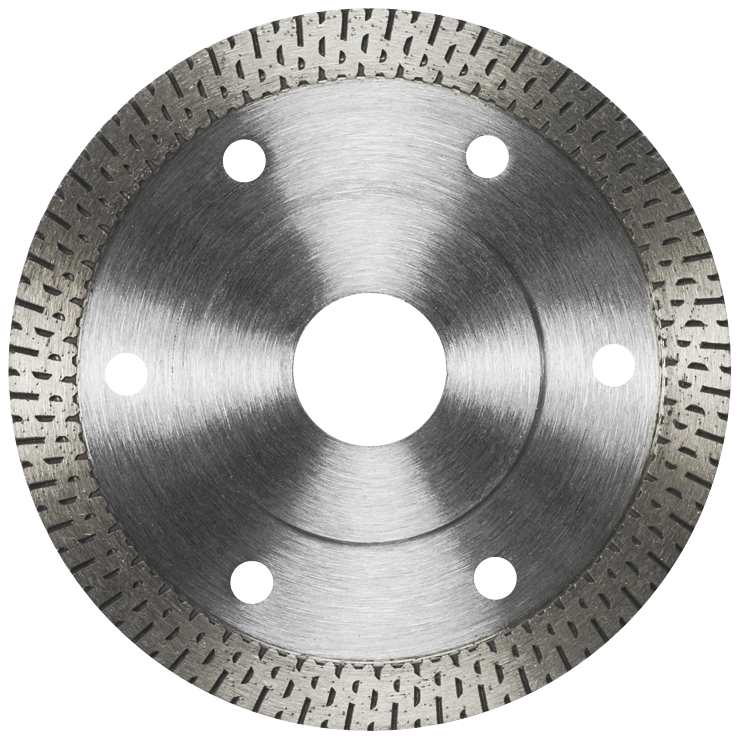 These premium blades fit well into the entire system of Bosch angle grinders and accessories.